Obtain insight on the state of the automated trading market today with a focus on market data and market access - the opportunities, complexities, and challenges. Learn how firms are addressing latency, agility, complexity, and cost surrounding market data infrastructure. 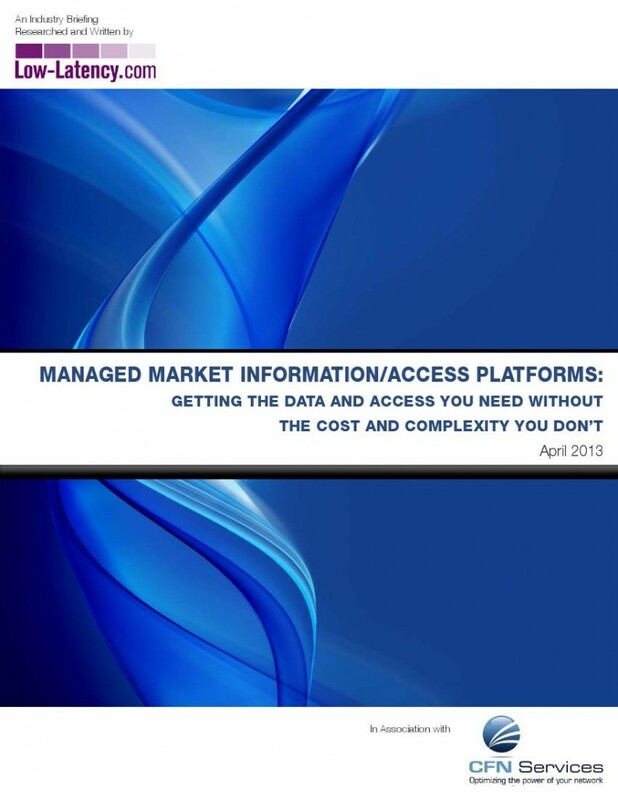 Explore how a market data/ market access platform approach can improve market data infrastructure performance, agility, and profitability.